This make is now a few months old and very well worn and it now seems slightly seasonally inappropriate to be sharing old summery photos of it on a day when it's pouring with rain in England - I haven't been terribly good at keeping up with myself recently when it's come to blogging about my dressmaking. It's made from a slub jersey in pale dusky rose that I bought from Lauren's shop - I'm suddenly feeling slightly obsessed by pinks and greys in combination, so it felt like the perfect fabric to pair with grey jeans. I used my own pattern - the same that I'd used to make this top - but I decided to cut the main fabric pieces on the bias this time, not because it needed any help with drape, but more for the visual effect of the slubs going across the body at 45 degrees. Because it's cut on the bias, I sewed with a slightly smaller seam allowance to (lazily!) compensate for the closer-fitting finish that a bias-cut would inevitably give, rather than going to the effort of redrafting my pattern pieces. I cut the sleeves in the usual way and I like the contrast of bias and straight grains this gives. The vertical line running down the sleeve is just where I've ironed it as I don't tend to iron regular clothes in the way that I'd carefully press them during construction to avoid that kind of thing (the photos were taken a few weeks ago, a few weeks after making the top)! Just in case you're interested, the fabric has worn really well apart from a very slight bit of bobbling where I wore an across-the-body bag to go on a long country dog walk, but I'm not convinced that's unique to this fabric though - I don't know what it is about wearing bags in that way, but a leather strap worn on the diagonal seems to rub at fabric far more than one worn on the shoulder, so I usually avoid it. I'm slightly cross with myself for putting bag carrying practicality above fabric preservation on that day when I love this top so much! 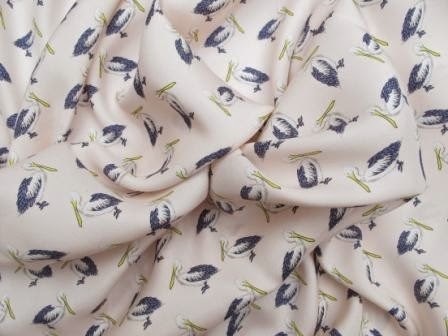 Sometimes a static picture doesn't really show the drape, so below is a photo that's still static, but where I'm less static within it, which gives you an idea of how deliciously waterfally this fabric is - do hurry to buy some - it's really, really lovely! And ridiculously inexpensive - this top cost less than £7.50 to make. The fabric shrank a fair bit when I pre-washed it and felt curiously like cardboard when I took it out from the washing machine, but it returned to soft loveliness as soon as it had dried. 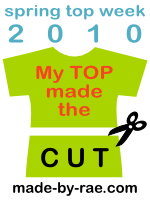 I made this top out of a very shrunken metre and had left-overs to spare. I'd worried that cutting such a fine fabric on the bias could cause all sorts of craziness with the hem, but I was surprised to find that it behaved perfectly. It's also available in navy. Although I've spent quite a few years making clothes, I don't think it's been until this summer that I've chosen to wear the things I've made more frequently than the off-the-peg garments in my wardrobe and it's come as a lovely surprise to finally feel my own handmade clothes are just as appealing to me as shop-bought alternatives. I've been trying to think about what's brought about this change and why things have suddenly clicked for me and I think it's down to several things - some of them practical, some of them attitude. Previously, often I'd make something and be pleased with the way it was finished, happy with the style of the garment, but somehow it just didn't feel as come-and-wear-me as my shop bought clothes - they felt home-made, rather than hand-made and I couldn't put my finger on why. 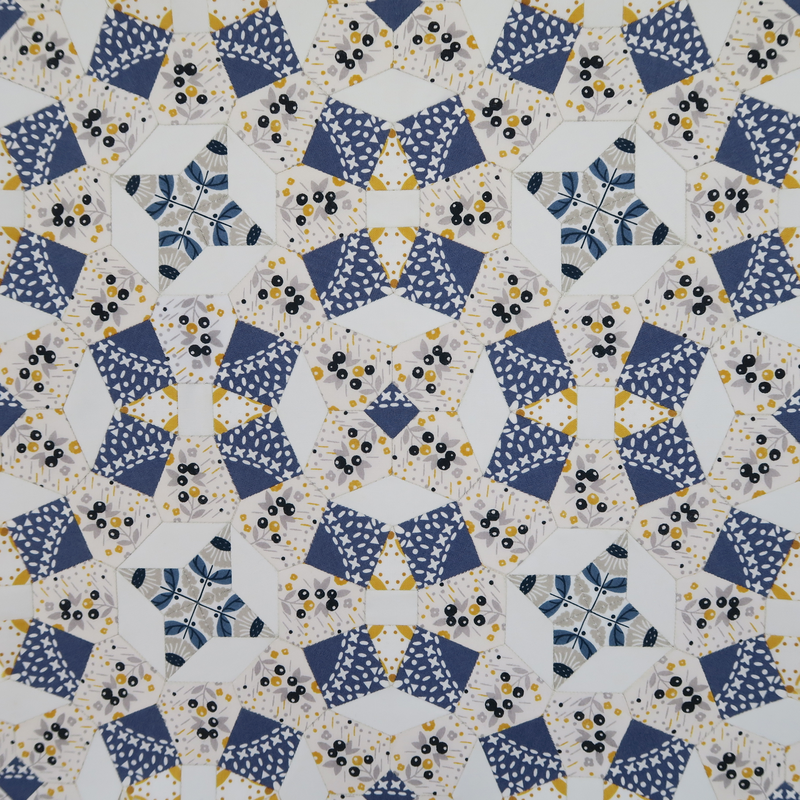 But I think it's possibly down to gaining more experience in matching a fabric to a pattern and also there being so many more amazing dressmaking fabrics easily available now, so no longer having to make compromises on this. I think the other reason why I feel happier wearing my handmade wardrobe this summer is that there's an element to dressmaking that used to feel like wrapping oneself up as a present with a bow on and announcing over a loud tannoy: this is me - not just me as a body, but also me wearing parts of my soul on the outside of myself! If you're not actually that confident about the way your body looks (which I wasn't), that extra layer of vulnerability can leave wearing a wardrobe of handmade garments feeling a bit much. Many sewists site dressmaking as being a liberation, as they cast off the sense of oppression they'd felt trying to fit into a particular shop's dress size and make things perfectly tailored for their shape. Despite the fact that standard shop sizes are rarely a good fit for me either, I didn't really experience a sense of liberation when I initially came to dressmaking and always wondered why - maybe the difference is whether the self-consciousness comes predominantly from within or from external pressures (i.e. clothing sizes, unrealistic magazine images, cultural perceptions of different body shapes), I'm not sure. But either way, something this year has clicked into place for me: maybe it's age (I think the way that many women begin to feel more happy in their own skin as they get older is proof that the way we feel about ourselves has very little to do with the way we actually look); or my finally realising that weighing oneself each morning is a habit that doesn't add any real value to the day; or my finally pinpointing exactly which foods I have horrible reactions to and so now rarely having to contend with unpredictably swollen eyes/face/stomach, but I just don't feel self conscious in the same way that I have for most of my life, even though I am heavier than I've ever been. And with that comes a new-found happiness in wearing my own handmade clothes. 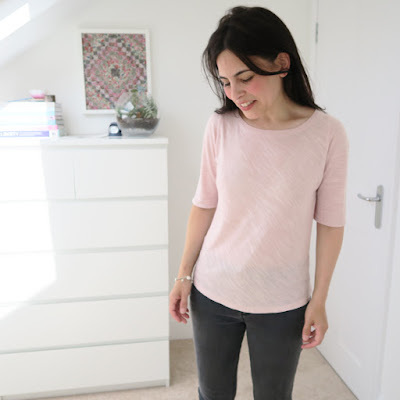 It may seem surprising that I've felt any self-consciousness at all when I've kept a blog where I've always shared photos of clothes that I've made. And me wearing those clothes. It's never been something that I've felt entirely comfortable with, but I suppose my wish to do it was greater than my reservations that would have made me choose not do it. 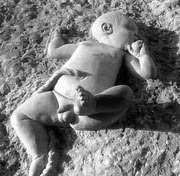 From the moment I read Heather Bailey's blog, nearly nine years ago (the first blog I'd ever seen! 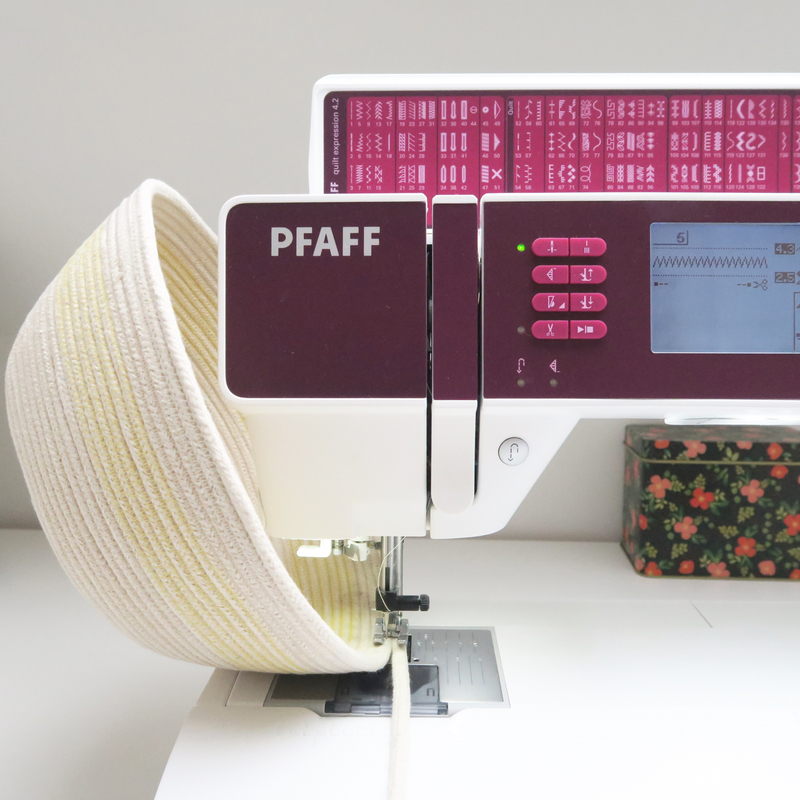 ), I found that a format that allowed the combination of writing, photos and sewing appealed to me in a way that was almost impossible to resist. 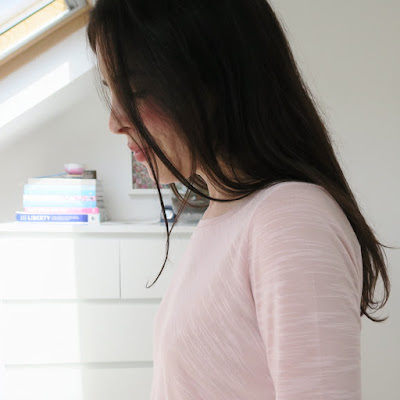 And as my readership is mainly sewists (although sometimes I find that people who don't sew at all read it, and that's always really lovely), when I first began sewing clothes, it made sense that I would document them. In the company of other sewists, whether it's quilts or dresses, I think we tend to want to see everything from different angles, to see how the fabric has been cut or a zipper installed, and to see photos that inspire us to actually want to spend an evening sewing, rather than watching television, which is always a tempting alternative if sufficient propulsion to get up off the sofa and sew isn't there. So in this context, to me, sharing photos of yourself wearing clothing that you've made seems perfectly normal (at least it does to me when others do this), rather than narcissistic or indicative of being totally body-confident. So all those things were already falling into place when I was going into a changing room in a lingerie shop while wearing this top and the shop assistant, twenty years younger than me, beautiful and very stylishly dressed commented that she loved my top. I just said 'thank you' but didn't offer any more as my mindset up until that point had always been to avoid telling someone that I'd made something myself, other than within the confines of my blog. However, she then asked if I'd mind telling her where I'd bought it as she'd love to get one herself, which forced me into confessing that I'd actually made it myself. Her reaction was so incredibly lovely and she seemed so genuinely astonished that it was handmade, that as I closed the curtain of my changing room I felt as though I could audibly hear my brain realigning with the affirmation that something I'd made didn't look any different to something shop-bought, other than in a positive way. I think this completed my transition to wearing handmade without self-consciousness and not worrying to think what other people may think of my clothes. I now seem to put them on in the same way that I do my shop-bought garment: because I like them and that's what I'm choosing to wear that day. The shop-bought and the handmade are finally integrated for me and it feels a very happy thing. I'd love to know how you feel about wearing your own handmade clothes - whether it feels like an entirely positive thing or whether it's mixed up with a slight self-consciousness for whatever reason. Ps. Coincidentally, I listened to not one, but two, fantastic podcasts with Jenny, from Cashmerette, about body image and dressmaking last week! The first on Crafty Planner, from the July archives, the second on Seamwork, the brand new podcast from Colette Patterns - both were really interesting and well worth listening to. Back in 2009, I made a list of all the lovely UK fabric shops that I knew of and shared it on my blog - that worked really well because at that point there were relatively few fabric shops stocking more modern prints over here. To give some context, just a few years earlier, in 2007, I actually had to import most of my fabric from America! 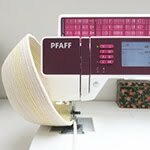 However, with a now mind-boggling array of fabric shops in the UK, updating my list to include every single one that exists would feel more like composing a telephone directory than sharing a handful of well-loved gems, so I thought I might start my list afresh, picking out my favourites and sharing the things that they specialise in. For ease of shopping, I'll separate things out into dressmaking, quilting, interiors. When I say that these shops are my favourites, please bear in mind that I haven't shopped at every single one of them - some are just window-shopping favourites! 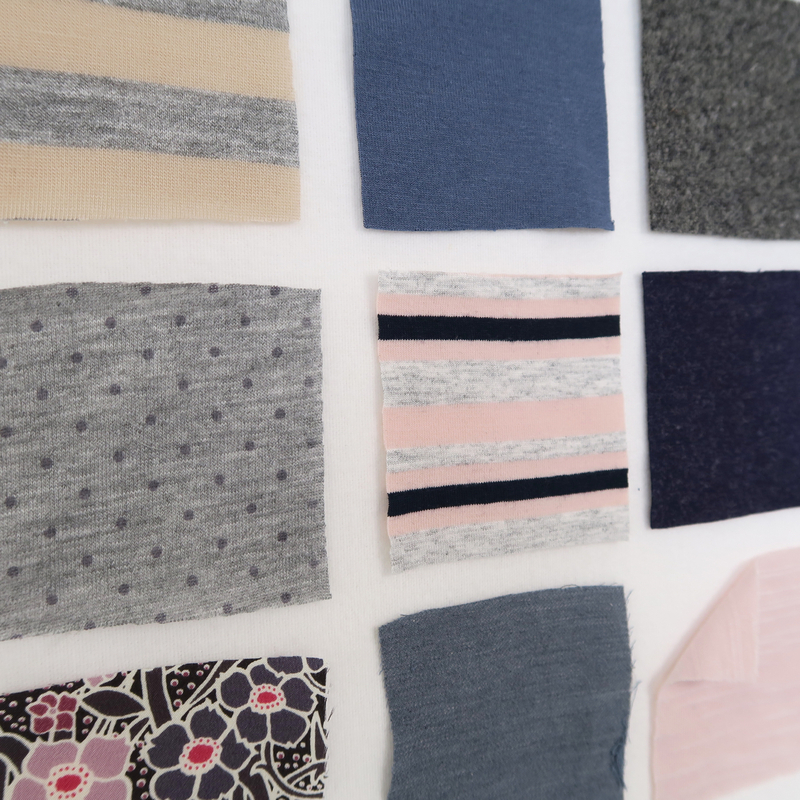 Girl Charlee - specialises in their own-brand knit fabrics. I've been delighted with the quality of everything I've bought. Ditto Fabrics - a wonderful shop, based in Brighton, which stocks a beautiful range of dressmaking fabrics. Backstitch - Alice stocks everything from Atelier Brunette, to denims, jerseys and coatings. Fabric is always nicely cut and posted speedily! Stone Fabrics - Stone stock an incredible array of mainly unbranded dressmaking fabrics. View each fabric with full description and price online, then ring to order - it feels deliciously old-fashioned to speak to a real person and their service is friendly and their delivery quick. 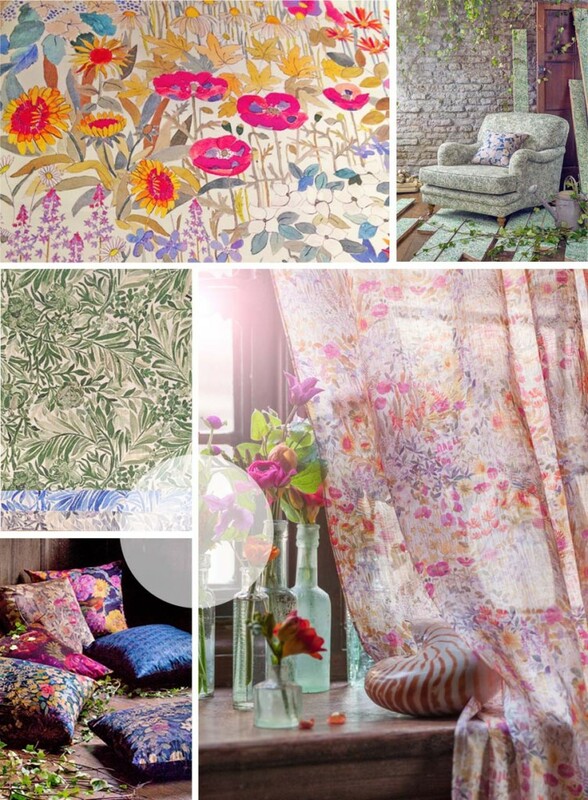 Truro Fabrics - A huge selection of dressmaking fabrics with everything from unnamed knits to Liberty corduroys. 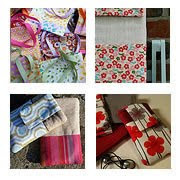 I've bought several unusual knit fabrics here and have always been delighted with the quality. Guthrie and Ghani - They stock a fantastic mix of designer dressmaking fabrics and unbranded one-offs. 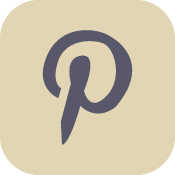 The owner, Lauren, frequently makes her own clothes from the fabrics, so her a blog is a good place to go to get an idea of how the fabrics drape once made up into a garment too. 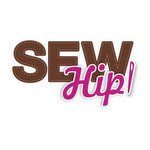 Sew Over It - a really well edited selection of dressmaking fabrics, including crepe, rayon, jersey, silk and wool. I usually want a bit of everything whenever I visit. M is for Make - Kate offers dressmaking fabrics from established designers such as Nani Iro, Liberty, Cotton + Steel, Atelier Brunette, Robert Kaufman's chambray range...the list goes on. It's all good. 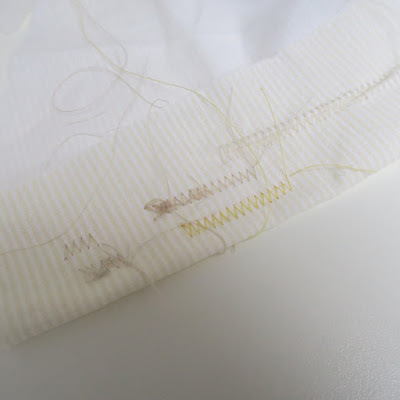 Dragonfly Fabrics - From boiled wool to stretch crepe, Dragonfly tend to stock high quality fabrics that have a price tag that reflects this - my go-to when I want to make something special. Service is excellent and the owner, Dorte, is an experienced dressmaker, so will be happy to offer advice as to fabric suitability. Merchant & Mills - purveyors of hard-wearing, high-quality fabrics, offered in a muted, earthy palette. Offset Warehouse - for ethically produced dressmaking fabrics, this is the place to head. Offset Warehouse offer a wide range of substrates from India, Cambodia, Europe and China. 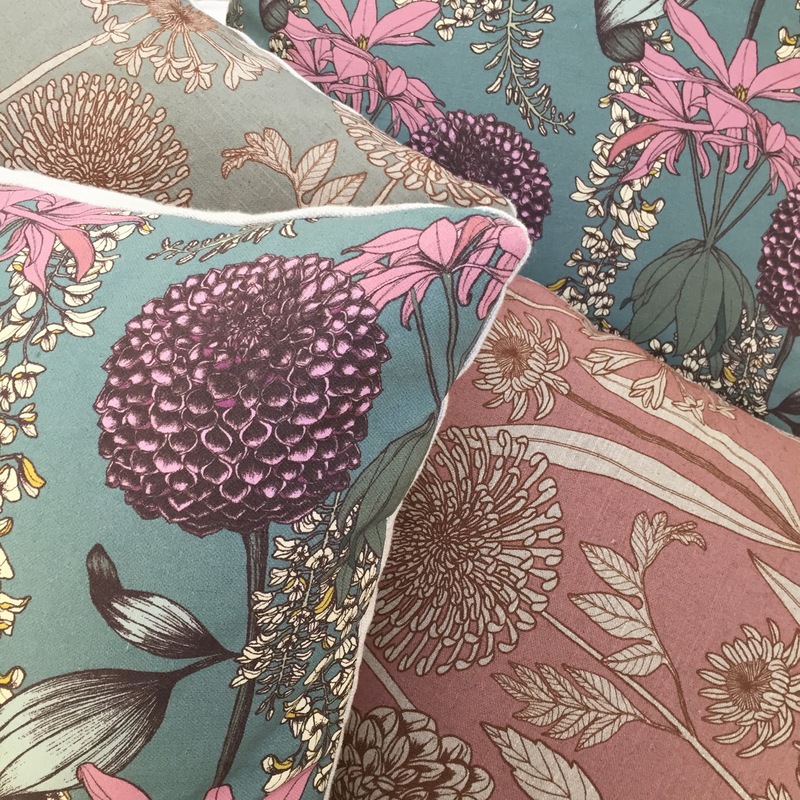 MacCulloch and Wallis - It's not the best website and it doesn't offer the best fabric descriptions, but it does stock high-quality, unpatterned fabrics that can be hard to find elsewhere. Ray-Stitch - a modern, often organically-produced, range of dressmaking fabrics. The Village Haberdashery - A lovely range of dressmaking fabrics, think stripy knits; Robert Kaufman's chambrays; designer rayons; Liberty print cord; and a large selection of double gauze. 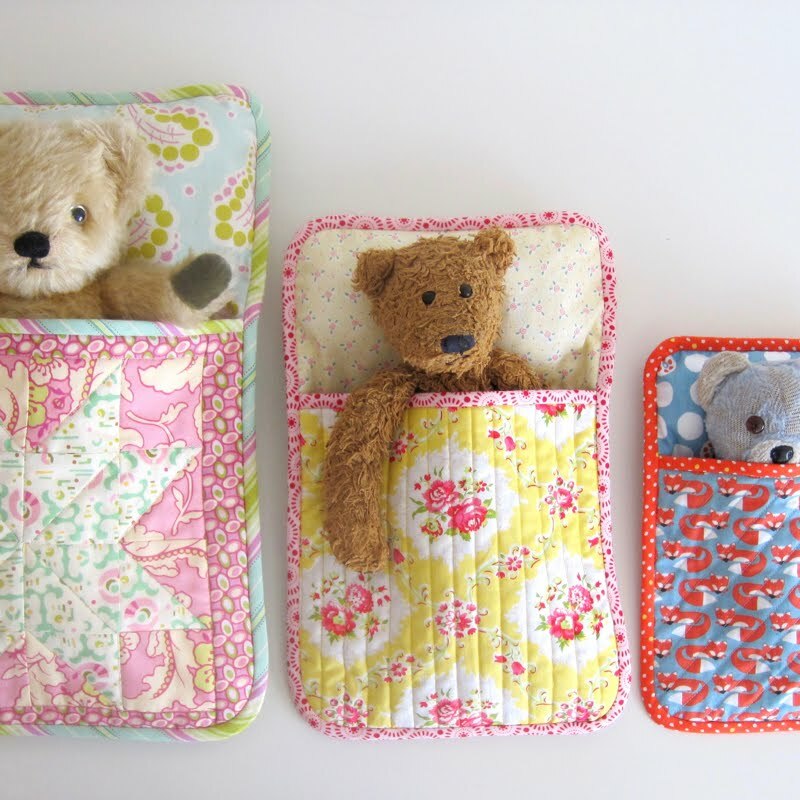 Plush Addict - an absolutely vast range of modern designer prints (alongside a selection of plush fabrics for cloth-nappy making, which is how this business began!). Sew and Quilt - this shop reminds me of a bowl of iced-gems with its sweet range of 1930s prints. 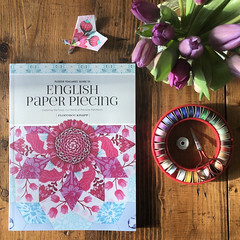 It also stocks all the English paper piecing paraphernalia you could wish for from glue pens to templates to pre-cut paper pieces. Shaukat - probably the largest selection of Liberty Tana lawns online in the UK and sold at more reasonable prices than you'd find in Liberty itself. If you happen to visit the store in person, service is uniquely unfriendly, but I now rather fondly regard that as a part of the Shaukat experience! M is for Make - with a very defined style, it always appears as though Kate only sells exactly what she likes herself. Which luckily is what I often like too. 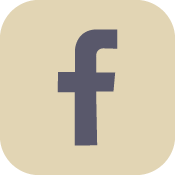 Go and have a look and hopefully you might like it as well. The emphasis is on crisp, edgy, modern prints in shades of grey, mustard and teal...with a few other colours occasionally mixed in. 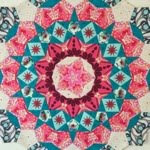 Tikki Patchwork - a large selection of 1930s prints, as well as a good source of Kaffe Fassett and Philip Jacobs. 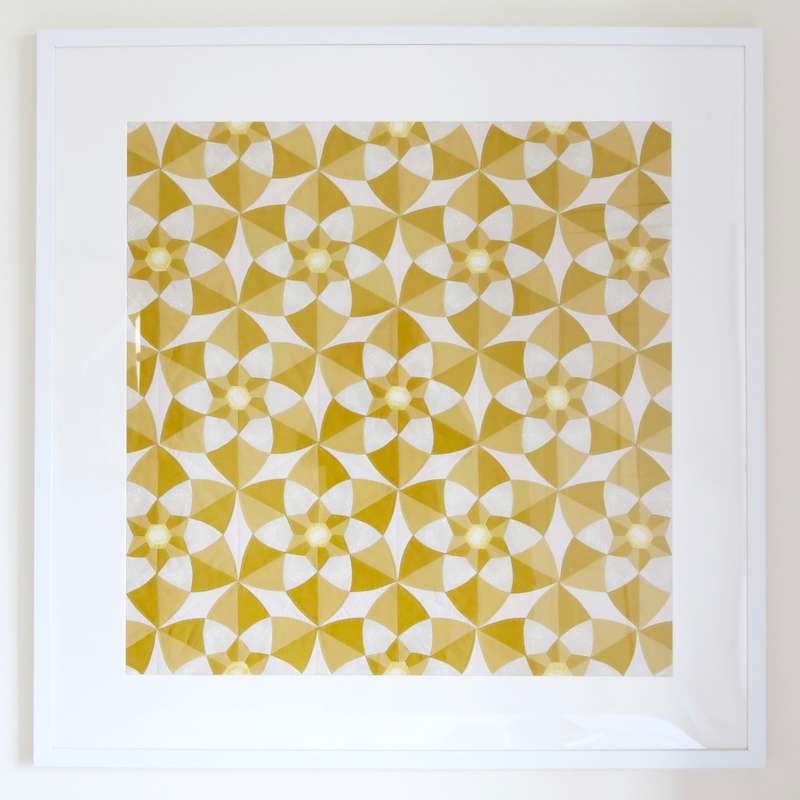 (Updated to add: Discount Code 'Flossie10' for 10% off until the end of September 2015!). 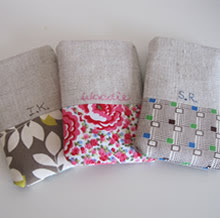 The Running Chicken - stockists of Quilt Mania books and Jen Kingwell patterns. Both very good things that are harder to find in the UK. 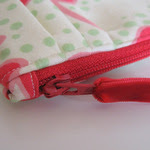 Backstitch - an easy to navigate website with a beautiful selection of fabrics. 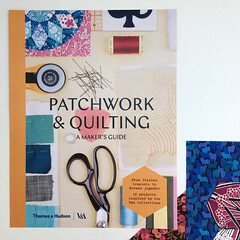 Cotton Patch - this is rarely my first port of call as the website isn't terribly easy to navigate, but I often visit their site when I can't find what I'm looking for elsewhere and find that they do invariably stock it! An absolutely huge range of fabrics, batting and quilting paraphernalia - they often stock obscure templates and tools that you can't find anywhere else over here. If I'm in a hurry, I usually pay extra to have things delivered more speedily as their regular service is very slow. 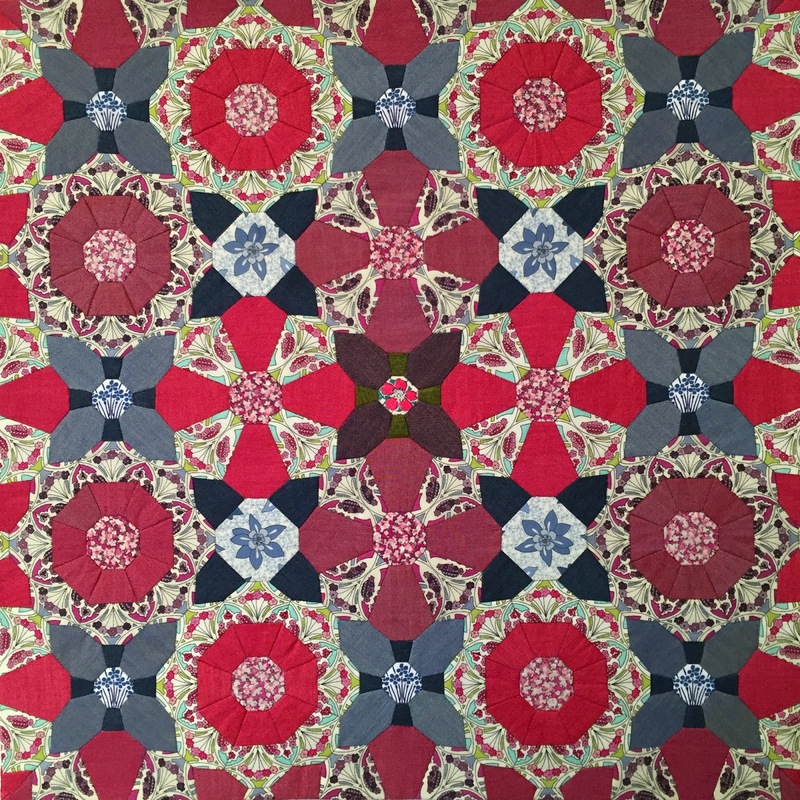 Eternal Maker - designer quilting fabrics along with some more quirky imports and good basics. 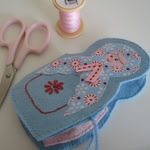 Pelenna Patchworks - Pelenna are fairly unique in offering freezer paper templates for English Paper Piecing, which you can iron straight on to your fabric - helpful when thread-basting shapes. 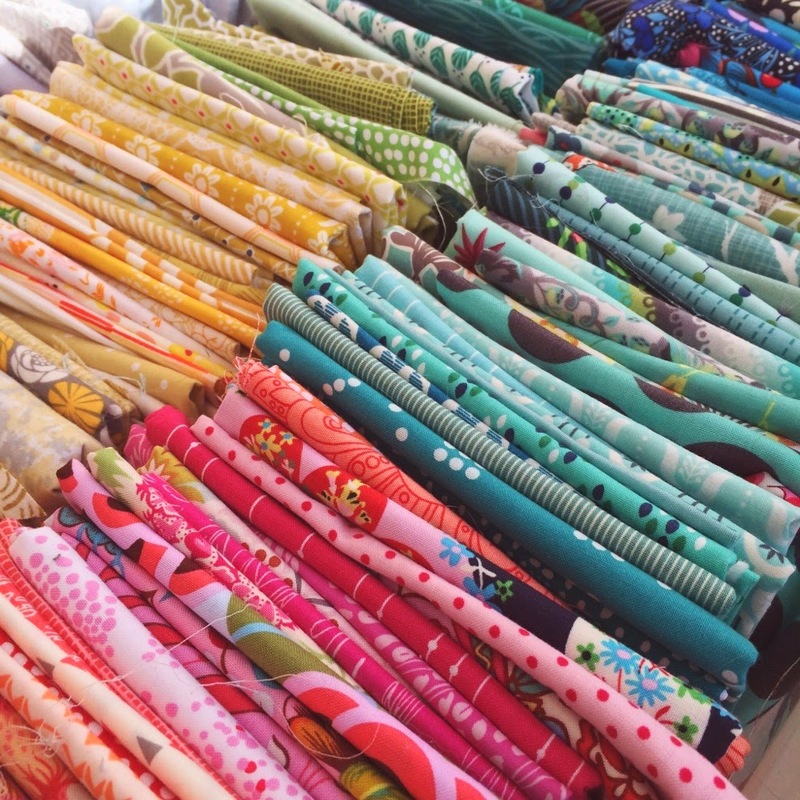 The Village Haberdashery - Annie stocks a beautiful range of fabric and has a knack for getting new collections in before anywhere else! 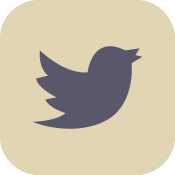 Eclectic Maker - a beautiful collection. Order a fat quarter and it comes folded in their trademark origami style, which makes it feel even more special! 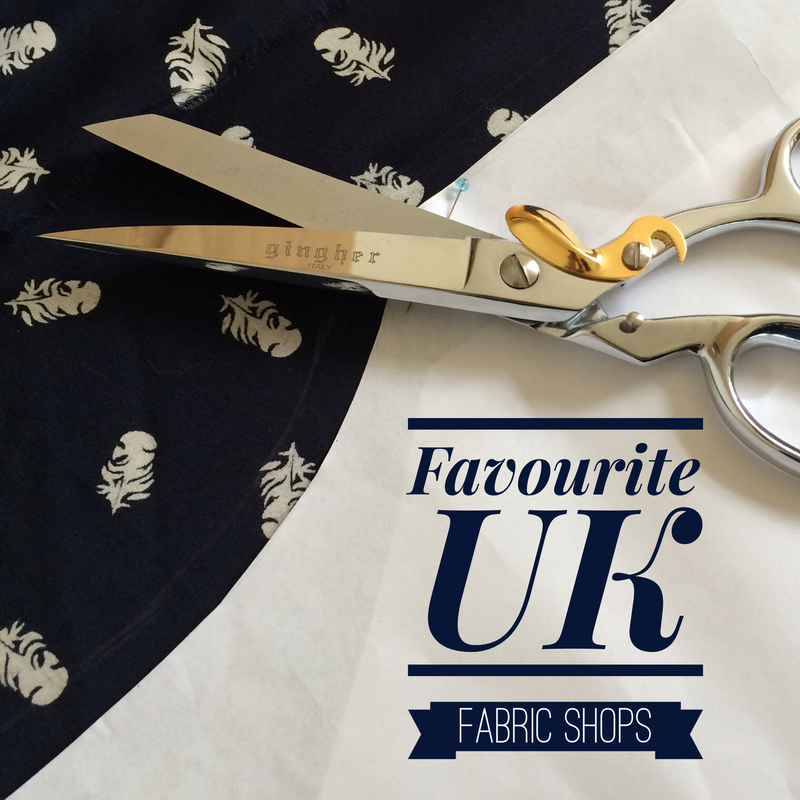 Fabric HQ - Rae stocks a large, bright and colourful selection of modern fabrics. Hulu - a modern site with a focus on more traditional-looking fabric prints, such as French General (which they always carry a huge selection of!). Abigail Borg - Abigail's fabric designs are my absolute favourites. 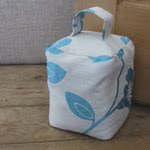 They're suitable for cushions (see some I've made earlier, in the photo above), curtains and light upholstery. Liberty Furnishing Fabrics - Alice Caroline stock an amazing range of Liberty prints on interior weight linen, velvet and voile. 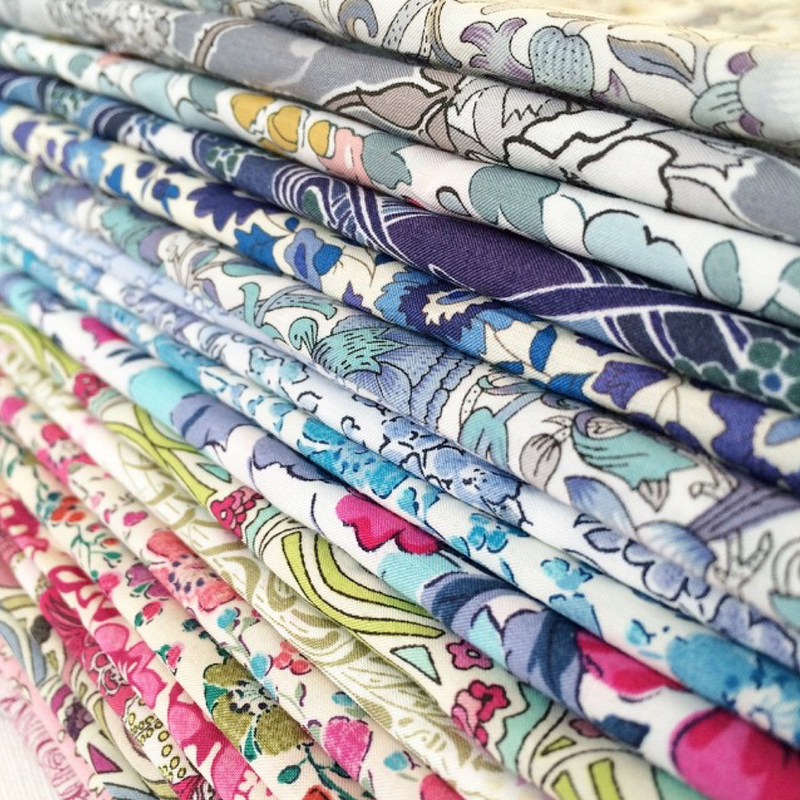 Their Secret Garden inspired fabrics make my heart feel heavy with want! Purl Soho - This New York shop seems to have the most amazingly well-curated selection of fabrics and their blog always has simple and unfussy projects that always look incredibly stylish. 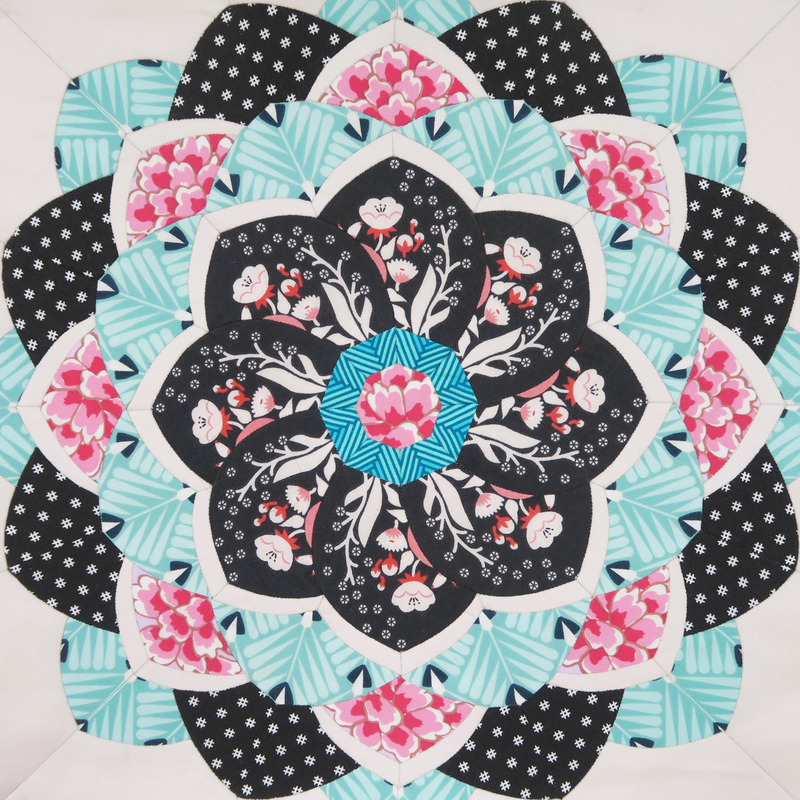 The Workroom - maybe it's the mix of dreamy fabrics, against a backdrop of gorgeous dogs lounging around, while stitchers come together to baste their quilts over cake that I see on Instagram, but this is high on my list of quilt shops that I wish I lived nearer to. It's quite a long way away though, in Toronto, Canada. 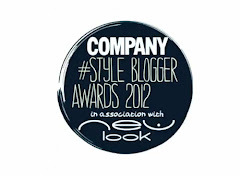 The owner, Karyn, always make the most amazing clothes too. 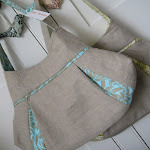 U-Handbag - if you're interested in bag making, head over to Lisa's shop for all the supplies you'll need. Sew Curvy - offers everything you'll need to make corsets, from complete kits to fabric, patterns and supplies. Curtains Made Simple - As well as creating custom-made curtains and blinds, this online shop also stocks Ikea fabrics by the metre! 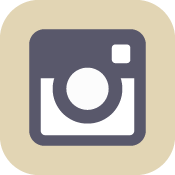 A brilliant resource if you don't want to have to visit Ikea in person. 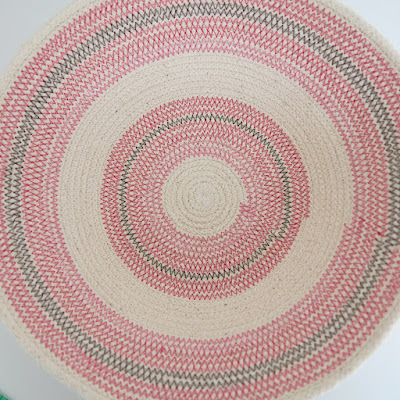 Recently, all I could think about was making a rope bowl and, now that I have, I believe that there is nothing more therapeutic than sewing in circles for two hours. 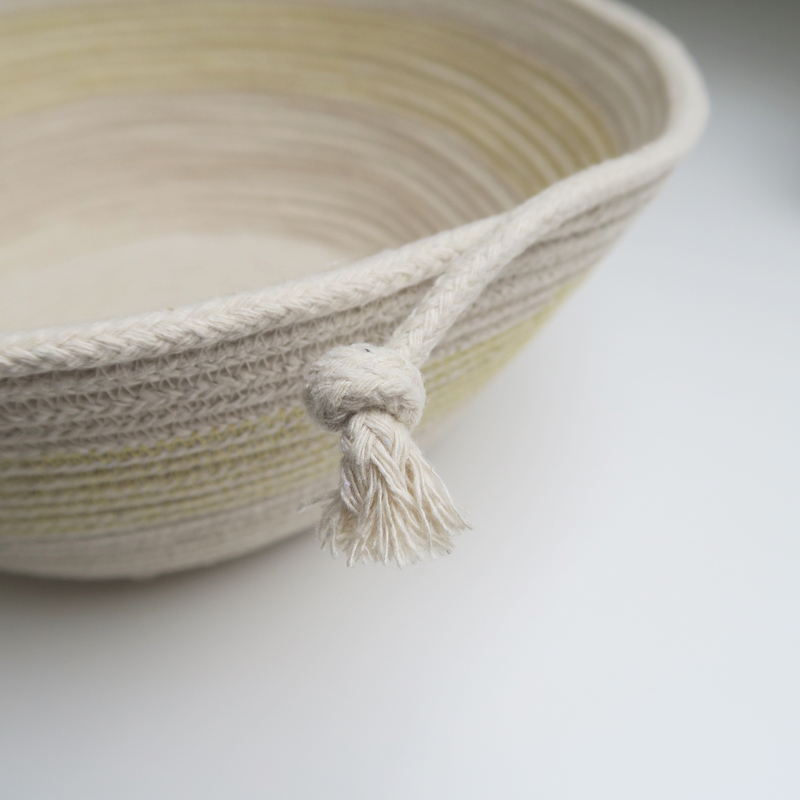 Rope bowls offer almost instant gratification with no pattern to cut out or fabrics to decide upon. They also feel more akin to making pottery than sewing and there's something about the mixture of each bowl being unique and unexpected in shape, combined with the order that comes from sewing in a very methodical and predictable way that really feels like a perfect union of order and unpredictability. 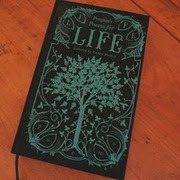 It's free-spiritedness in a way that feels completely manageable for a control freak. [Although I have a fundamental problem with spirals - as opposed to one circle sitting on top of another - in that when you change thread colour it can never be at a logical point, such as a corner or at the end of a circle, but is always halfway through the ongoing coil, but I'm trying not to let that bother me as the joy of the bowl making is huge!] My head feels slightly like it has some freshly poured lemonade in it, such is the brain-fizzing at the possibilities for different bowls. 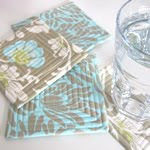 I've now sewn several of these bowls and they're so simple to make that I thought I might share a tutorial. But first, don't these pink peppercorns that my sister brought back from Spain look even more dreamy for being in a pink rope bowl? The only supplies you'll need for this are some rope, some thread and a sturdy needle (90/12 or 100/14). Finding suitable rope is really the most challenging part of the whole thing. For my yellow bowl, I used quite sturdy rope from John Lewis, where twenty metres of their own-brand clothes line (cotton outer with a polypropylene core) was more than enough. 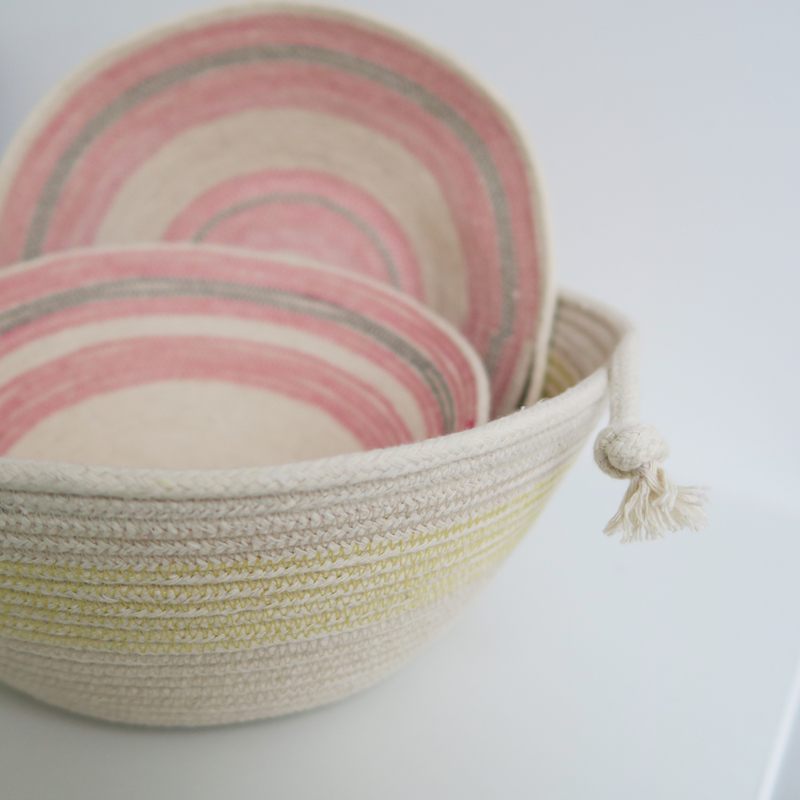 For my pink and black bowls I used a slightly narrower rope from B&Q (available in store). It's called 'cotton cord', branded as 'Eliza Tinsley' and comes in packets of 13.7metres, which is more than enough for a nice little bowl. If you don't have access to either of those sources, look for sash window cord, clothesline or cotton braided rope. Personally, I'd have a preference for a fairly white rope, so that any coloured thread you might like to use would have a better chance of showing up. Rope doesn't join easily or neatly, so it's also best to get a length that's going to be long enough to create the size of bowl you're after! 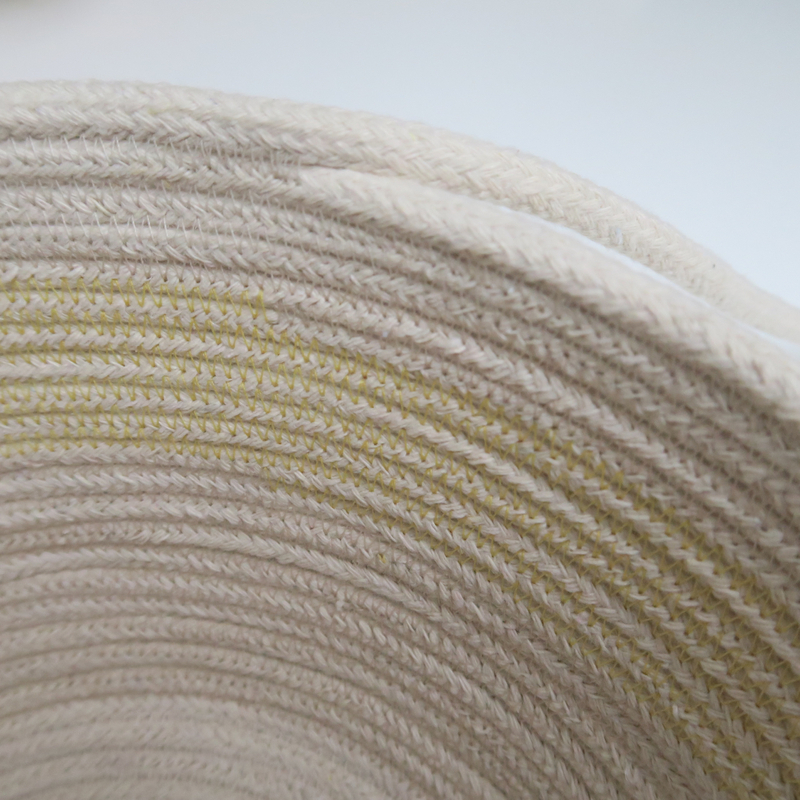 Personally, I have a preference for the narrower 1/8" B&Q rope as I prefer the more delicate look of the finished bowls. 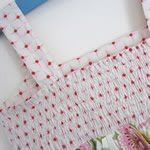 The clothesline that I bought from John Lewis was wound up in a way that left kinks in it and additionally, it wasn't completely round, but had more of a rectangular shape to it - between this and the kinks, it just made it slightly harder work to sew with than the perfectly formed finer rope from B&Q. Both types of rope produce an incredibly sturdy bowl - these things feel incredible and like they could take quite a lot of weight and bashing about, should you wish to challenge your bowl in either of those ways! Some tips before we begin: it's important that you wind a bobbin of thread for each of the different thread colours you're using on the bowl, as bobbin thread and spool thread will be equally visible. I like to change colours over the course of the bowl - my yellow bowl had cream, taupe and mustard threads, while my other bowls had pink, black and cream threads. Finally, I'm unsure if this is a quirk of my machine, but when I first insert a new bobbin, the initial securing stitches will result in a little bit of a knot on the underside of my fabric while the bobbin beds into place - not normally a problem when the underside of your work won't be visible, however, on these bowls it WILL be very visible, so your securing stitches need to be perfect. 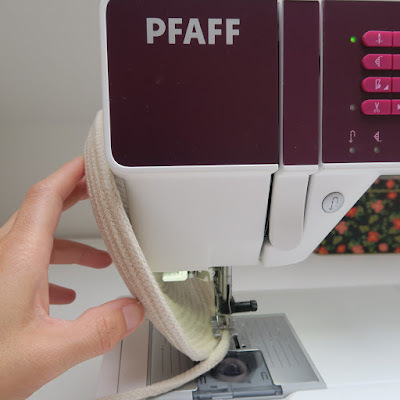 If your machine does this too, keep a scrap close by and take your first stitches with a new bobbin in place on this, rather than on your rope, to avoid ending up with a knotty bowl that will distress your eyes every time you catch sight of it. Once my machine has got over this initial hurdle, it's fine doing perfectly neat beginning and end securing stitches every time. 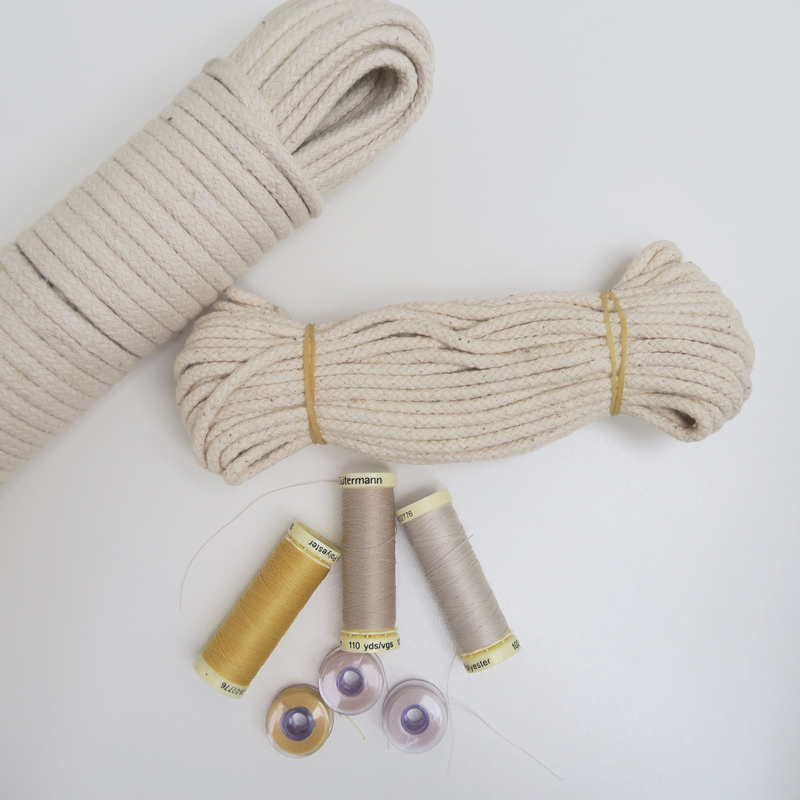 Begin by cutting your rope so that it has a crisp end and then tightly coil it around a few turns, pinning it in place. My pins are so fine that I feel I'm able to run over them with my sewing machine without any danger of breaking a needle, however, you'll need to take care with whatever pins you choose to use and may prefer a light glue if that feels a safer option. Set your machine to a zigzag stitch that will happily capture a nice amount of rope to either side of where they're butted up together. For a thicker rope, I used a stitch width of about 4 or 4.3, and for the narrower rope I used a stitch width of about 3.5. 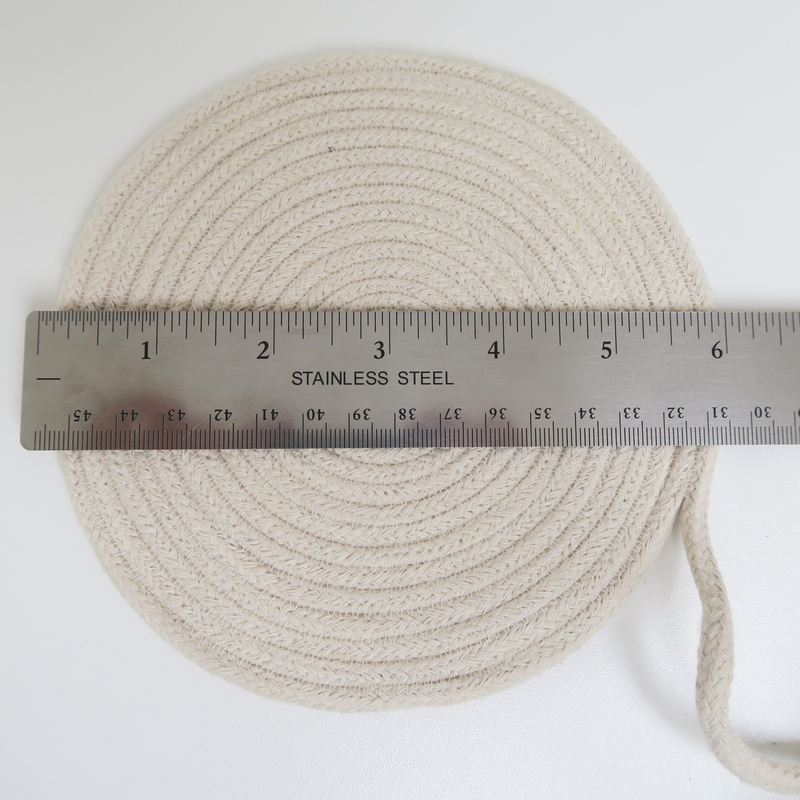 My stitch length for both ropes was set to about 2.5. The initial stitches really are the trickiest bit, so don't give up, as it all becomes much easier as your snail shell of rope becomes larger. It may all feel a bit foot up, foot down, foot up, foot down to start with. 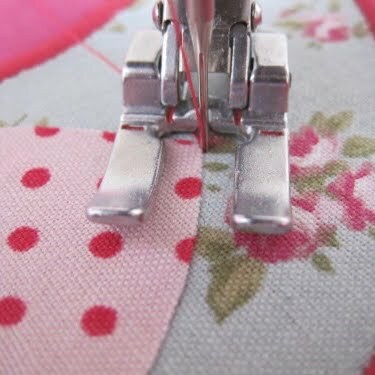 Setting your needle to 'needle down' if you have this feature on your machine will reduce some of the work. 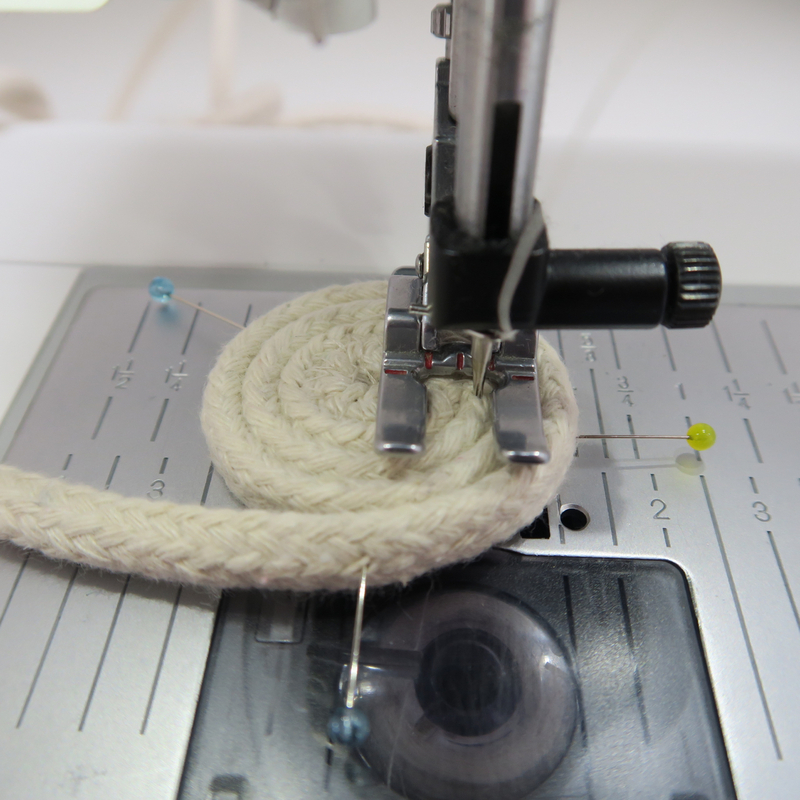 Starting in the centre of your coil make a few securing stitches. 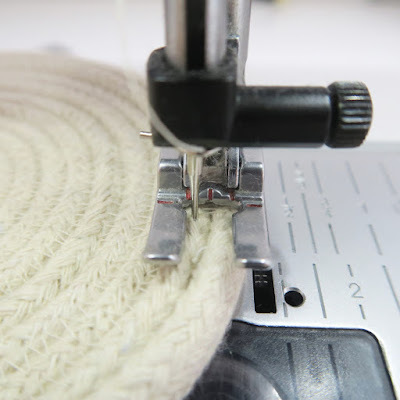 Keep the centre of your foot in line with the line where two edges of rope meet, and stitch around and around using a zigzag stitch that catches the rope to either side. 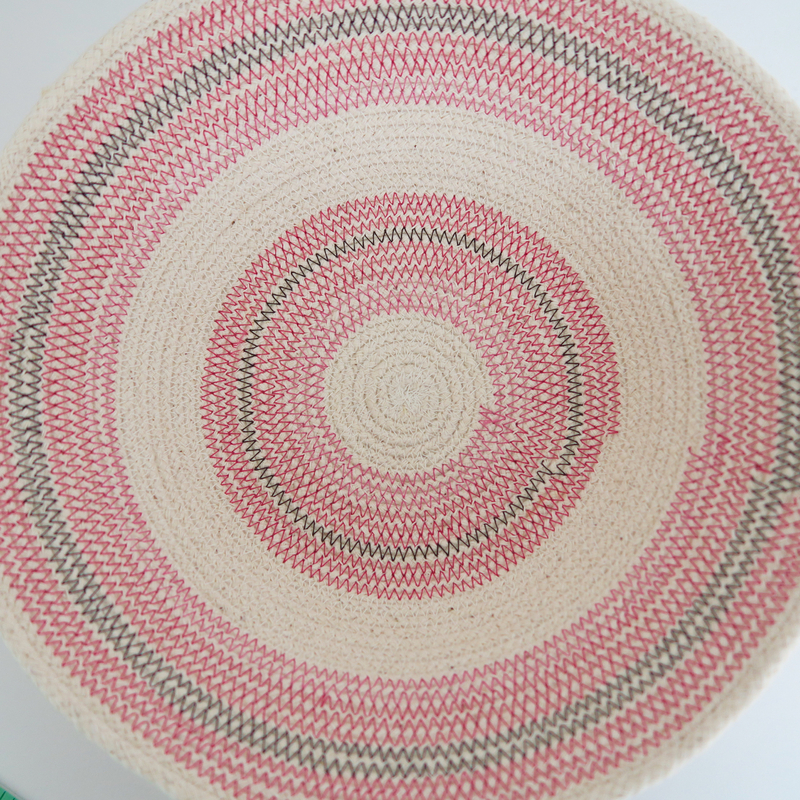 Whenever you want to change thread colour, be sure to change both the bobbin and the spool thread; make securing end and beginning stitches; and try and line up where you change thread colour, so that it falls roughly in a line on the finished bowl. This means that if the lack of visual continuity where thread colour changes on the bowl bothers you like it does me, then at least this slightly irksome feature is confined to one area of the bowl (that can be covered with pink peppercorns! ), rather than all over it. 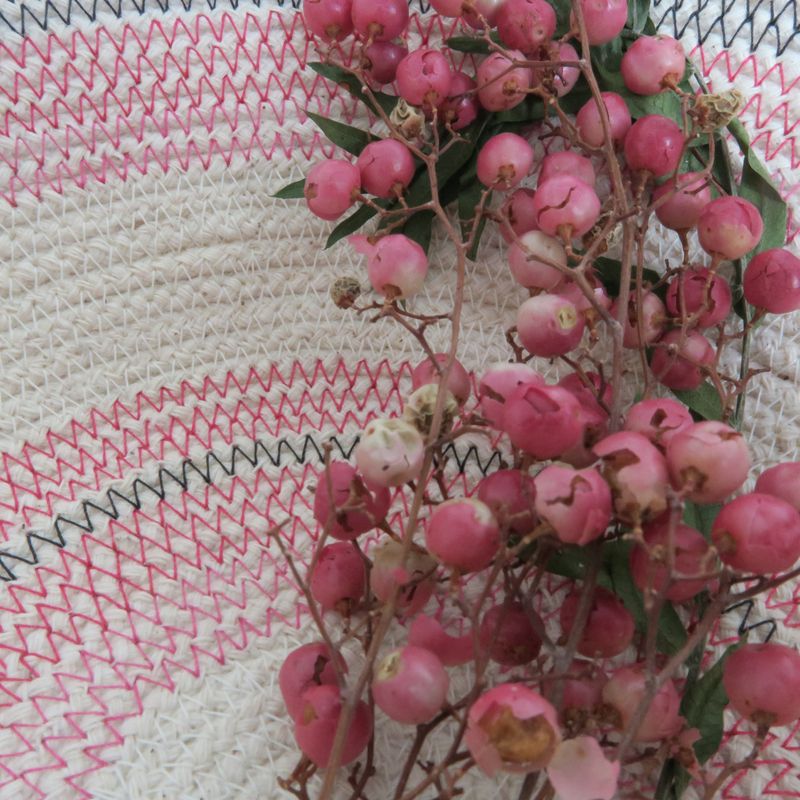 You can see this demonstrated best on my pink and black bowl below - see the thread colour changes at about 4 o'clock? Maddeningly, but so much better to have it confined to 4 o'clock than at random times throughout the day! For my large, wide-based yellow bowl, I made a flat disc measuring 6" before I began to shape the bowl. For my smaller pink bowls this was nearer 4.5". I love this bit! It's so exciting - like magic! 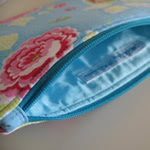 You are a sewing-potter! It's hard to believe that just holding the side of the bowl up could affect what's going on beneath the foot of the sewing machine so drastically, but it does! Continue in this way. You'll notice that I have more hands in this photo as I'd finally thought to ask someone else to hold the camera for me! In reality, I favour having my guiding hand much closer to the sewing foot than you see in this photo, gently guiding the rope while it lightly passes beneath my fingers like a conveyor belt. I found that I could sew at quite a speed at this point. 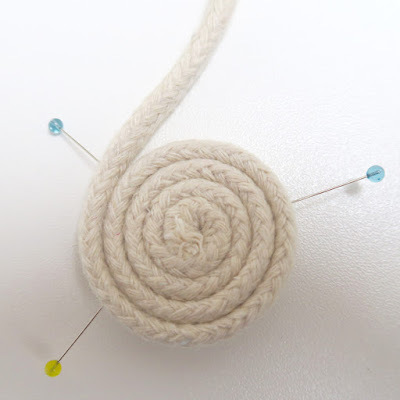 Keep your eye on the centre point where the two pieces of rope are butted up together and aim to keep the centre of the foot in line with this. When you feel that you've got a nicely sized bowl, or that you've nearly reached the end of your rope (writing that phrase makes me think of being near the 'end of your tether' but it's quite different, because bowl making is a very happy thing), take a few securing stitches. Tie a knot in your rope an inch or two away from this end point. Snip the tail off and then pull back the braiding to reveal any ugly core that the rope might have. 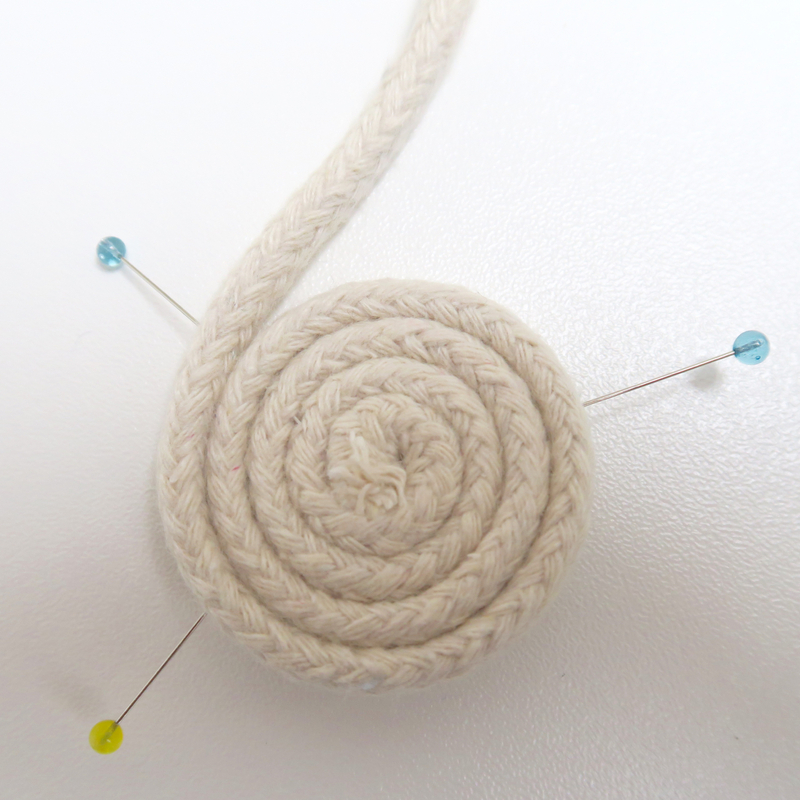 Cut this core off and then rearrange the loose strands to give a pleasing knot tail! You may feel a little like you're preparing a pony for a dressage event: enjoy it. At this point, you could admire your bowl or use it even. However, I suspect there won't be any laurel-resting, because these bowls are so addictive to make and you will almost certainly want to start on the next immediately. 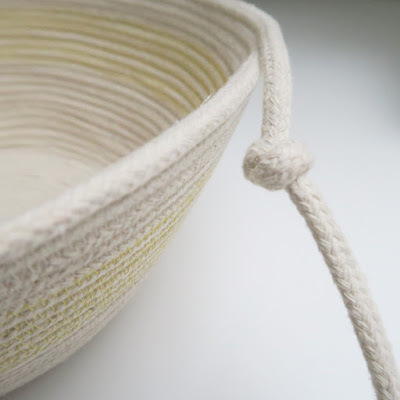 Buy your rope in industrial quantities, pencil out several hours for some therapeutic rope basket making and you could have a whole set of baskets or bowls by the end of the day. My son suggested nesting bowls, Russian-doll style! They would make fabulous gifts too. Let me know if you make a bowl - I'd love to see! 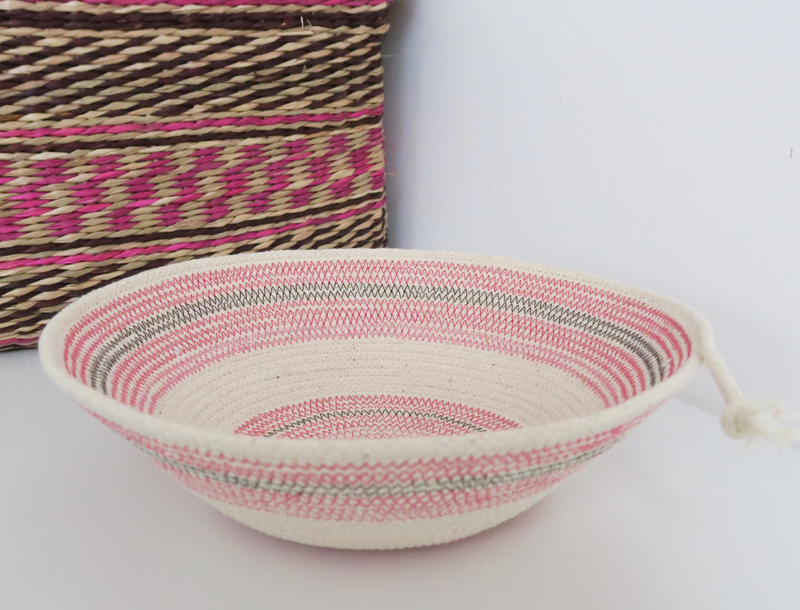 I'm really enjoying pink and black as a colour combination - my bowl was inspired by the basket in the background, which I bought at The Shop Next Door in Rye. 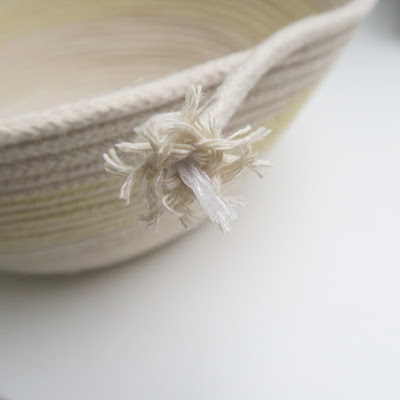 On my list of rope-related things I'd still like to try: dying the rope, dying the finished bowls, painting the rope, painting the finished bowls, creating bowls where the rope has been pre-wrapped with fabric, using varigated sewing thread, making baskets, making bags, making hanging plant holders, making bowls or baskets with handles...the list is endless.